and turbo's wow. don't know why though.it don't even look right. though it appears to be unwieldy Ill bet its mean. Maybe it didn't look quite right because it is two WHEATLANDS and not row crops. I know they are wheatlands and they look good as a tractor. I am saying those turbo's sticking out like that don't look right. 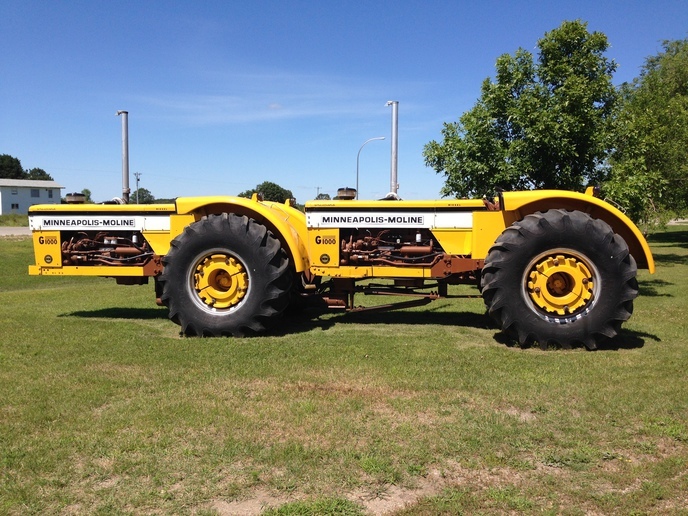 and wheatland tractors always look better than rowcrops. nothing like the sound of those deep engines with a factory muffler. 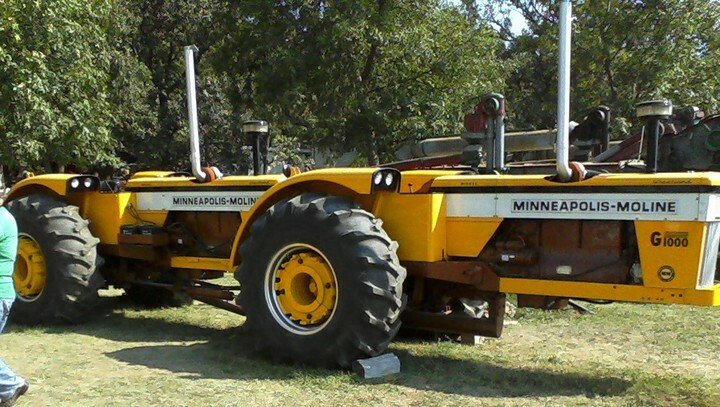 I've seen this tractor before at the Western MN Steam Threshers Reunion in Rollag. Those are 585 Diesel Turbo's in both and yes, it looks like it could probably give a lot of fairly modern day 4X4s a good run for the money. I believe the sign said it was used in MT or out west and was restored recently. Really well built! I have a picture of the same rig in my file. How do they steer it? with hydraulic cyl's on each side.